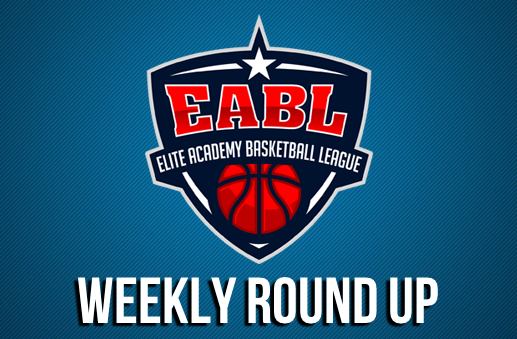 With the number of weeks remaining in the regular season counting down fast, Week 17 provided some teams with a perfect opportunity to make a move in the EABL standings. 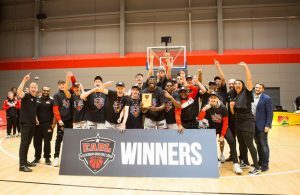 In a massive result at the top of the South Conference standings, 2nd placed Itchen College were able to defeat the previously unbeaten leaders Barking Abbey 74-70, pulling within three points of BA in the process. Jeremy Sochan was the leader for Itchen as the talented forward finished with a game high 31 points, helping to pull his side from a 53-46 3rd quarter deficit into a winning position come the final buzzer. Sochan and Jake Watson (eight points) helped inspire a 15-2 run down the stretch that set up a tight finish, with the visitors finding a way to get it done in the game’s final few minutes. 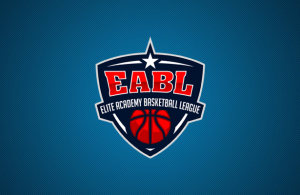 Robin Bedford led Barking Abbey with 19 points in the loss, whilst Theo Hughes had 14 points and Ade Adebayo had 13. Top spot in the Conference is still Barking’s to control, with their four remaining fixtures all being against teams in the bottom half of the standings, including winless SEEVIC and BHASVIC. And that winless streak continued for BHASVIC this week as John Madejski Academy took a trip to the Brighton, coming away with a comfortable 85-43 win. An early 10-2 run for the visitors set the tone for the contest, and despite a BHASVIC counter, JMA went into the break leading 37-20. Thanks to further baskets from David Chive and Adrian Nosa-Castillo (15 points apiece), the Berkshire programme were able to disappear into the distance during the 2nd half, though Lewis Jee was proved to be a bright spot for the hosts, he finished with a team high 14 points despite a somewhat lopsided final score. Canterbury High School were able to keep pace with JMA for 3rd position after an important 84-72 home win against playoff chasing Copleston. The visitors had the best of the contest in the early going, moving out to a sizable lead behind the efforts of Ethan Price (29 points) before being pegged back by a triple from Canterbury’s Johnathan Fakile (9 points) right before the buzzer to cut the difference to 46-40 at the half. The hosts came out after the break with greater intensity, particularly on defence, swinging the game in their favour. 2nd half heroics from Vernon Eze (17 points) kept the game within Copleston’s reach, but Canterbury eventually pulled out to a double digit win as Josh Moore top scored with 21. Having already secured the tie breaker with Alec Reed this season, this victory provided the same assurances against Copleston for the Kent side. That means Coach Davies can now focus his troops on looking up in the standings and not down with Canterbury set to host JMA to end the month in a huge battle for 3rd spot. In a matchup near the foot of the standings, Oaklands College picked up their 3rd win of the EABL campaign with a 97-56 win over SEEVIC. Despite the defeat, Zayaam Ali had a strong game for the visitors, scoring a game high 35 points. Oakland’s efforts were steered by the impressive Toby Gastaldi-Davies, who scored at will to finish with 20 points whilst also turning provider with a number of assists. Credit must also go to SEEVIC’s Harry Gent who pulled down 18 boards to go with 7 points. Those efforts kept the game close at 25-20 to the hosts after 1, but from there the Wolves pulled ahead to a sizable win. After winning a crucial top of the table clash last week against Myerscough, Charnwood Academy were able to keep their quest for a regular season title on track with a 91-53 win against SGS College. Exploiting multiple ways to score against the hosts, the Riders moved into a lead they’d never relinquish, sealing the W with ease. Blaize Sagna was impressive for Charnwood to top score on 26, whilst Sam Chigbo had 14 for SGS. With just 2 games to go and a six-point lead atop the standings, things are looking very good indeed for the Midlands side. 2nd placed Myerscough were at least able to keep up the pressure on Charnwood, inflicting a 103-66 road win on bottom side Sheffield College. Myerscough started fast, building a double digit lead by the end of the 1st quarter. From there, Sheffield regrouped and did well to keep the 2nd quarter an even affair despite some great play from the opponents. That intensity proved too much to maintain though as Jamie Gray (18 points) and the rest of the Myerscough roster went through the gears to dominate the 2nd half. Harrison Bell led all scorers for Sheffield College with 19. 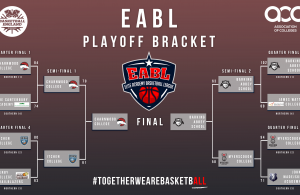 James Watt strengthened their grip on a playoff place at the expense of Manchester Magic Academy, running out 82-64 winners thanks to 23 points from current EABL Player of the Week Wakeem Richardson. Ian Rodriguez provided ample support with 22 points and Daniel Penkovv added 17 more. Malachi Boayke-Yiadom’s game high 28 points ensured this one was close throughout the first half before JWC pulled away in the 3rd. The hosts encountered a blip early in the game’s final quarter, but regained their composure to avert any real danger.